I am currently on vacation in the New York area, and thus I had a chance to explore the museums of New York City a little bit. As always, there are plenty of medieval things on offer here - the following is my recommendation to lovers of medieval art (you can have a look at what NYC had to offer last summer in my earlier post). The Cloisters, the branch of the Metropolitan Museum of Art devoted to medieval art, opened 75 years ago, in 1938. To celebrate the anniversary, there is a special exhibition there, titled Search for the Unicorn. The focus of the exhibition is the most famous set of objects in The Cloisters: the Unicorn tapestries. The exhibition, consiting of about forty works drawn mainly from the collections of the Metropolitan Museum, provides an overview of the subject of unicorns in medieval and Renaissance art and belief. 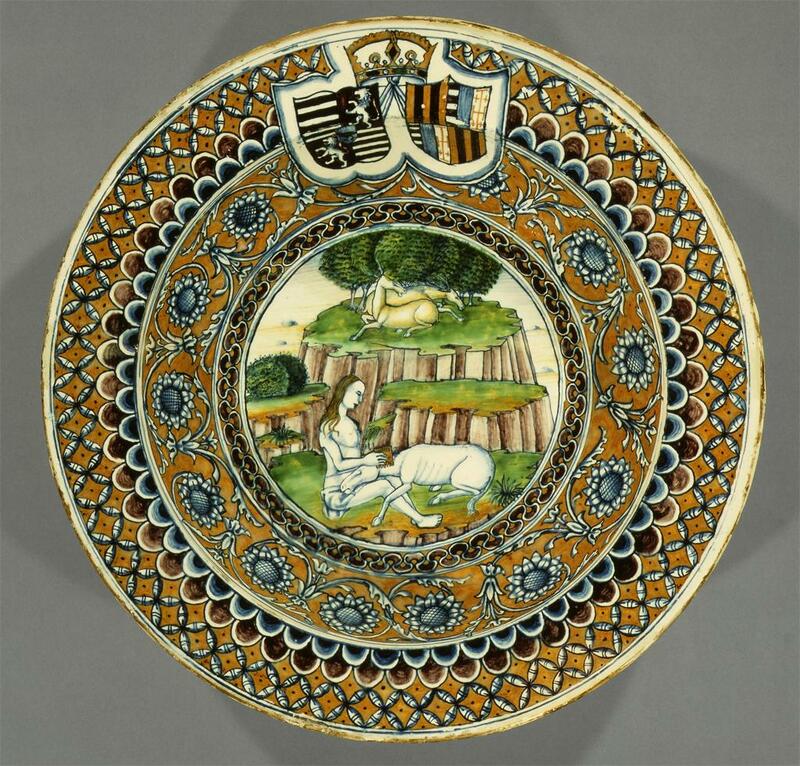 One of the highlights for me was a well-known piece, the magnificent Corvinus-dish with the coat of arms of Matthias Corvinus and his wife, Beatrice of Aragon, showing the unicorn and a maiden. The dish - along with related pieces in the Victoria and Albert Museum and at Berkeley - was made in Pesaro, likely for the wedding of Matthias and Beatrice in 1476. Another object of Hungarian connection on view was a bone saddle from the series generally associated with King Sigismund's Order of the Dragon. While the exhibition itself is not too large - and the focus of it is part of the permanent display of the Cloisters - it was good to see that the renovation and reinstallation of the Cloisters galleries is now complete, and the works can be enjoyed in wonderful circumstances. Accross Central Park from the Metropolitan Museum, at the Bard Graduate Center, a special exhibition also drawn from the collection of the Metropolitan Museum can be seen, dedicated to Georges Hoentschel. Salvaging the Past: Georges Hoentschel and French Decorative Arts from The Metropolitan Museum of Art focuses on Hoentschel as a collector and a ceramic artist. The highlight of the exhibition is his collection, which entered the Metropolitan Museum as a gift of J. Pierpont Morgan in the early twentieth century, and consist largely of medieval objects. This section displays medieval artworks, including sculpture, ivories, and metalwork, and includes one of the finest surviving examples of French Limoges enamelwork: a twelfth-century reliquary container. 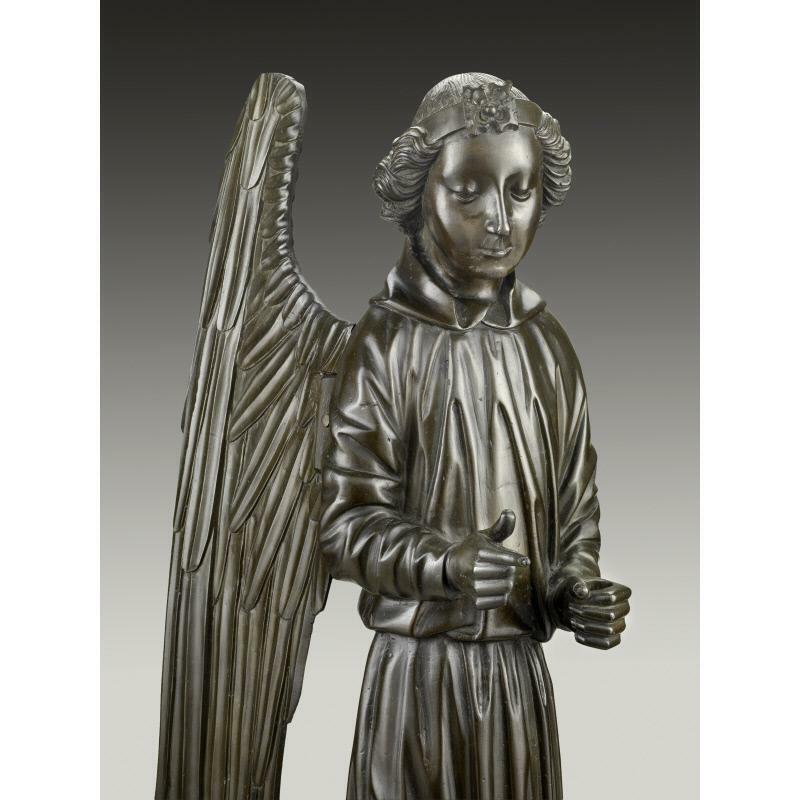 The most dramatic object, however, is on loan from The Frick Collection: a large bronze angel from Lyon, dated 1475. The exhibition is on view until Aug. 11. 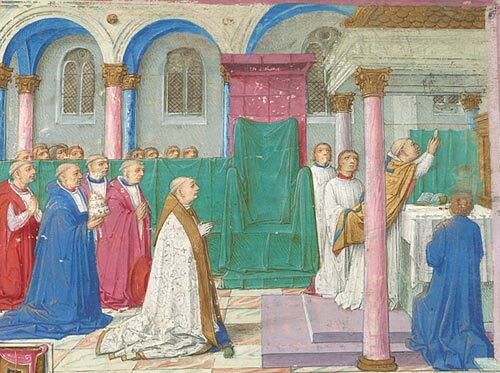 The Morgan Library & Museum presents and exhibition of medieval manuscripts, titled Illuminating Faith: The Eucharist in Medieval Life and Art. According to the website, "featuring more than sixty-five exquisitely illuminated manuscripts, Illuminating Faith offers glimpses into medieval culture, and explores the ways in which artists of the period depicted the celebration of the sacrament and its powerful hold on society." The exhibition features some of the highlights of the Morgan Library's collection, such as the Stefaneschi Missal or the Farnese Hours, as well as a few medieval liturgical objects. A selection of objects is available on the website. You can read more about the exhibition in the Huffington Post. I would like to mention that a manuscript made in Buda (Hungary) is on display as well: the Kálmáncsehi Breviary and Missal, dating from 1481 (MS G.7). Finally, I would like to call attention to one exhibition which I have missed: Writing the Word: A Selection of Medieval Latin Biblical Manuscripts in Columbia Collections was on display in Butler Library at Columbia University, until July 5. The exhibition featured codices and fragments from the Rare Book and Manuscript Library (RBML) and the Burke Library at Union Theological Seminary. 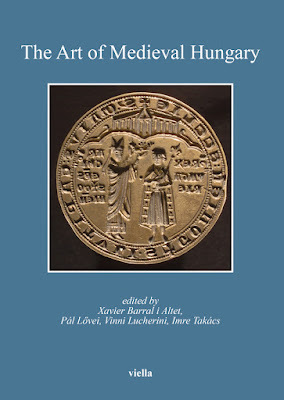 The manuscripts, which span the period from the eighth to the fifteenth century, demonstrated the range of scripts, formats, and versions in which the Latin Bible circulated during the western European Middle Ages.